Modern take on classic design. 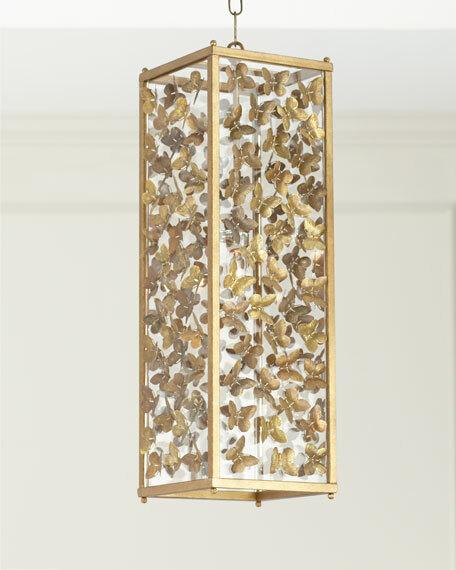 Handcrafted lighting pendant with allover butterfly accents. Each piece is designed and created to order in our NC art studio, signed and dated by Tommy Mitchell. Weight, 18 lbs. Boxed weight, approximately 25 lbs. 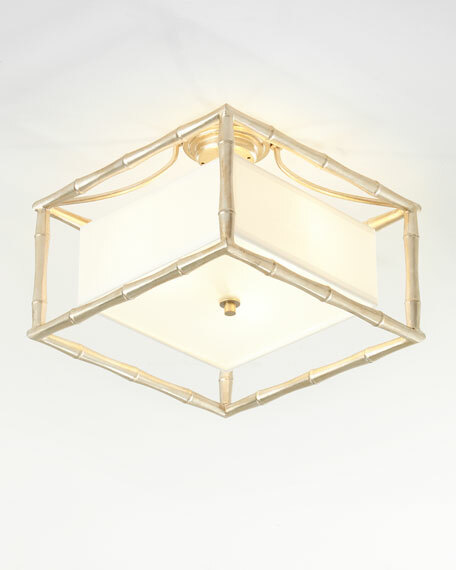 Geometric light fixture. 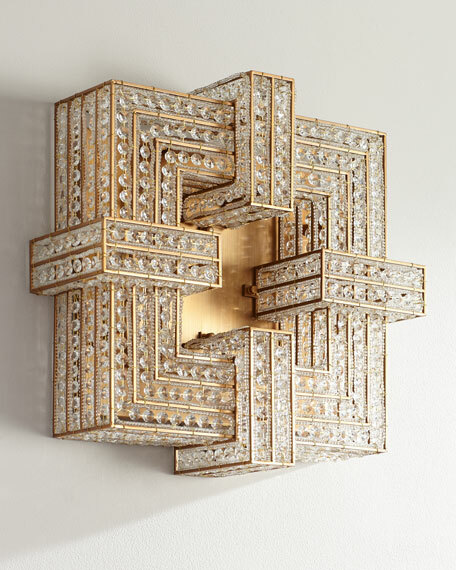 Metal and crystal.Uses four 60-watt bulbs. Hangs flush. 19"Sq. x 6"T.Dry clean.Imported.Boxed weight, approximately 21 lbs. Please note that this item may require additional shipping charges.